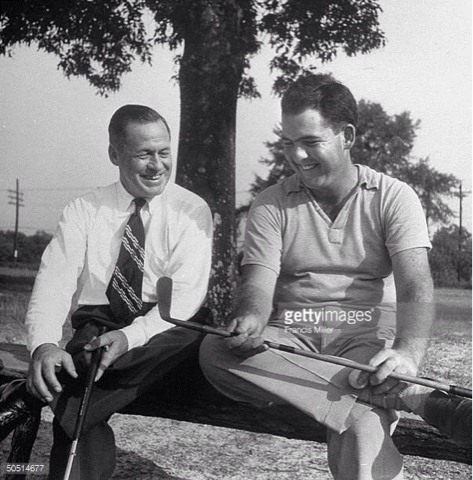 Bobby Jones did discuss the golf swing. In part, I guess, because the golf swing seems to be a consuming interest for most players and teachers alike. But he wasn't at all convinced that anything he said about the golf swing was going to be particularly helpful to the average golfer. "When I try to tell a person something about how to swing a golf club, I am never quite certain that I am really helping him a great deal. But when I am on this particular subject (the short game) I know I can give sound advice which anyone can apply, to take strokes off his score and add to his enjoyment of golf. The main idea in the short play is to give yourself the benefit of all percentages. Never try to be unnecessarily fancy. Wherever possible, select a club which will permit the shot to be played in a straightforward manner and which will make all use possible of the most carefully prepared part of the golf course--the putting surface itself. As must inevitably follow from the above, do not for one moment entertain the notion of playing all short approaches with one club. A chipper or run-up club has no place in today's limited set. The rule to follow is this. 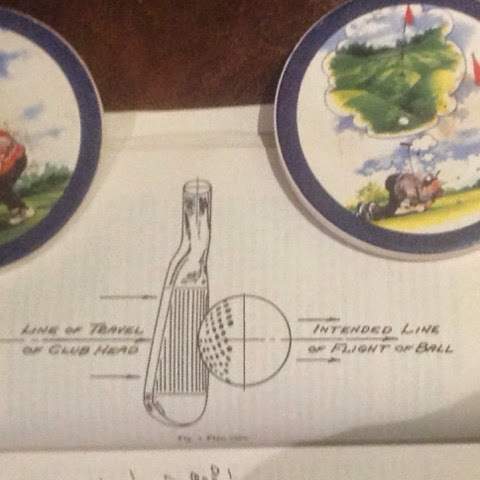 Aim to pitch the ball in the air by only a safe margin on to the nearest edge of the putting surface, and strike it in a manner which will insure that it will take a full, normal roll--that is, without abnormal spin. If your ball lies a foot or two off the putting surface on what would be called the 'apron' of the green, use a number three iron and loft it just over the bit of apron on to the putting surface. The shot becomes only a long putt. From a few feet farther back you would use a five iron, and so on, but the shot would be the same. In any case, you are playing for the best possible average of results and not trying for anything spectacular. If you can consistently leave your chips within a radius of four to six feet from the hole, you won't suffer too much in the average golf game. All this may sound pretty simple and obvious, but even in select company I have seen departures from it which proved costly... One other rule should be definitely made for the average golfer. Let him never take his sand wedge (or 60 degree wedge) from his bag except when his ball is in sand, or in such heavy grass that a prayerful escape is the ultimate hope. The pros do wonders pitching with the wedge, but the extreme loft and extra weight cause it to be a treacherous club in the hands of an inexpert player. It is so easy with it to leave a ball sitting or to top it into Tiger country beyond the green." Bobby Jones believed in the virtue of simplicity and practicality when it came to golf. Perhaps that's why he is my favourite teacher, who declined to consider himself a teacher. He never forgot that golf was ultimately about shooting the lowest score. Being fancy, or looking pretty, was never something he cared much about. This advice about short game alone could save many average golfers four to five shots a round; especially if they are average golfers who like to use their 60 degree wedge around the green. I am probably not in what Bobby would call the average class of golfer, but even in my game I have found that not just automatically reaching for my 58 degree wedge around the greens--which was something I did for years--has helped my short game. I holed out the other day from the apron to a hole about forty feet away using an 8 iron. I left a couple of other chips stone dead using the same club. A few years ago, I wouldn't have even considered that sort of shot. I preferred the fancy shots. Stewart Maiden: Bobby Jones' Teacher?